← Ecclesiastes: Free my heart. In my experience so far, e-readers are an absolute gift to artists. Not only am I buying so many more books than I used to (which benefits their authors), but I’m reading so much more than I used to. That goes for plays, too. I want you to send me your play. YES, YOU! If you want to trade, I’d be happy to (my “menu” is here). No commentary or feedback is necessary (or promised). I just want to read the plays my peers are writing. I want to take a long walk around the field. (1) Open your play in .doc format. (2) Increase the font size to 24. (3) Save it as a PDF. (4) Send it as an attachment to the address listed here. I’ll take care of it from there. 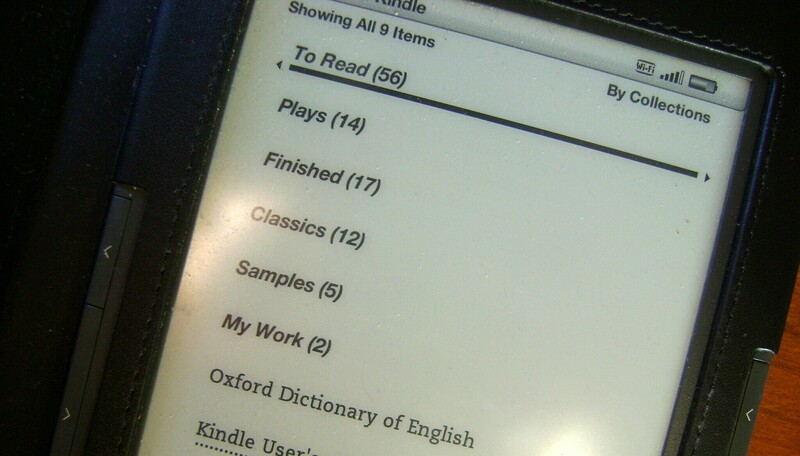 Right now I have fourteen friends’ plays on my Kindle, and I’ve read them all. I’m going to be reading a LOT when I start traveling next week. I’d like to get that number up to 50. So send me your play!